The branded RoxBox All Terrain Bluetooth Speaker includes a Micro/USB cable for recharging and a 3.5mm audio cable for non-Bluetooth devices. 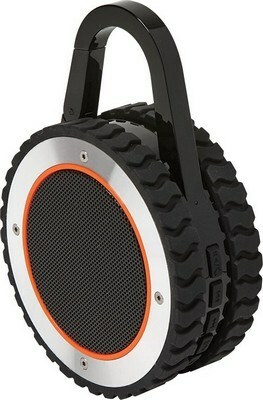 The RoxBox All Terrain Bluetooth Speaker makes an excellent gift to present to your tech savvy customers. 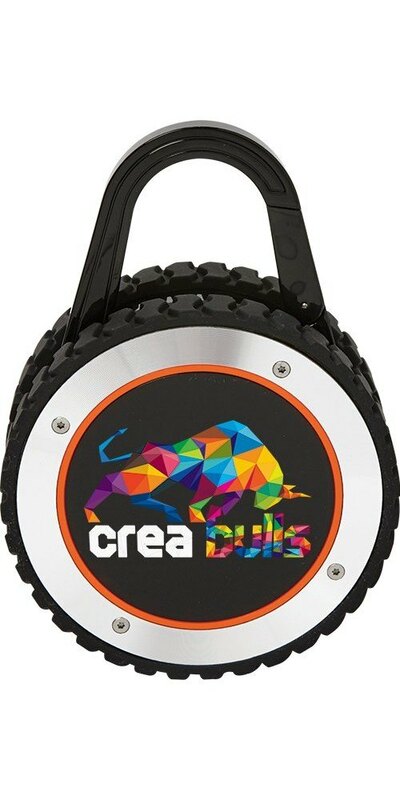 Imprint your brand name on this black speaker using TruColor or Pad Print imprinting technology and make a loud and favorable impression of your brand. This speaker is filled with features including six easy to use buttons on the base of the speaker: power/paring button, volume /volume -, next/previous song, play/pause/hands-free, volume/next button. 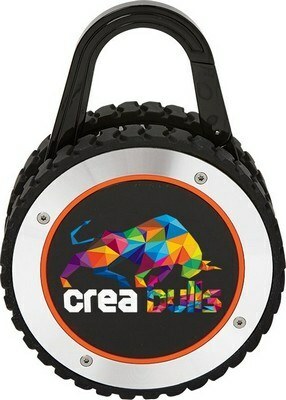 The set includes a Micro/USB cable for recharging and a 3.5mm audio cable for non-Bluetooth devices. 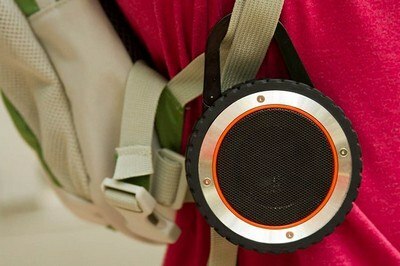 A manual and a built-in carabiner are included with the RoxBox All Terrain Bluetooth Speaker.